Men under 50 who smoked were more likely to have a stroke, and their risk increased with the number of cigarettes they smoked, according to new research in the American Heart Association's journal Stroke. An increasing number of young adults are suffering ischemic stroke, which is the most common stroke type. Tobacco use is on the rise among young adults. 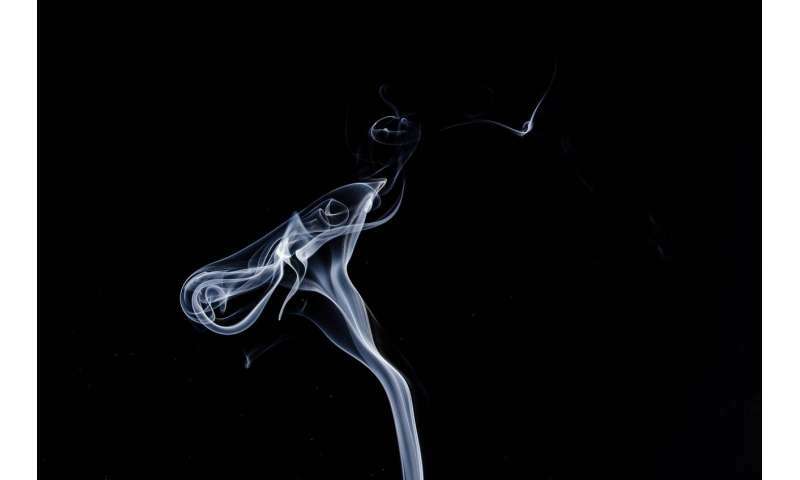 It is already established that the more young women smoke the greater their stroke risk; however, little is known about young men's stroke risk from smoking. "The key takeaway from our study on men younger than 50 is 'the more you smoke, the more you stroke,'" said lead study author Janina Markidan, B.A., a medical student at the University of Maryland School of Medicine in Baltimore. "The goal is to get these young men to stop smoking, however if they can smoke fewer cigarettes it could help reduce their stroke risk," Markidan said. Smoking causes increased red blood cells, smokers polycythemia, and polycythemia is known to cause hypertension, elevated blood pressure and hypertension is known to cause stroke. They have shown the higher the hemoglobin the higher the blood pressure. So ... using logic .. the increased red blood cells manifested by a smoker must be addressed and treated as the pathology it is, and treated by graded reduction of red blood cells .. ergo .. blood donation or cupping.